This CD is a lush tapestry of world music on harp, soprano, alto and bass silver flutes, Native American flutes, voice, guitar, and world percussion, with special guest musicians Jami Sieber on electric cello and Dale Innskeep on mandolin. This CD is relaxing, yet spicy and adventurous, taking the listener through different worlds and moods including Spain, the Middle East, and South America. Lynda plays harp, all flutes, and does all the vocals on the CD, using her voice more like an instrument, adding color and harmony, rather then singing songs with words. Catima Biersdorff adds her skill on world percussion instruments to several songs. Keith Sommers plays guitar, some percussion, synthesizer effects and used his mastery as a recording engineer to artfully blend and weave all the layers of sounds and instruments together. >Jami Sieber plays her hauntingly beautiful electric cello in two of Lynda’s harp compositions, Lost in Dreams, and Almost There, transforming these originally solo harp pieces into unusual and soulful harp and cello duets. Dales Innskeep’s mandolin playing brings lovely harmony and delicate texture to two of Lynda’s songs that have a latin feel, Blessed By the Thai Rose,and The Road to Andalusia, adding mandolin to harp, silver and Native American flutes, and gentle percussion. 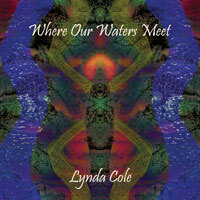 Lynda composed all the music for this CD except The Road to Andalusia, by Keith Sommers, and Haziz, a collaboration with Keith Sommers. and for Europe, AU and NZ you may like to try INDIE-CDS. This CD could be described as being in the following categories: world music, healing music for harp and flute, music for yoga, music for massage, music for meditation, music for inspiration, music for opening to creativity, music for stimulating imagination, music for mindfulness, healing harp music,world healing music,world flute music, and music for meditative movement.